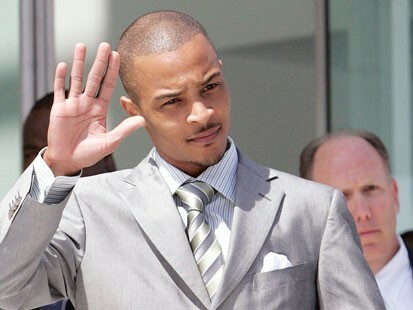 The District Attorney's office of Los Angeles County had decided not to pursue charges against T.I. in connection to his & Tiny's arrest a few months ago. T.I. 's lawyer Steve Sadow told Washington Post that, "The Los Angeles District Attorney's Office's decision to reject TI's case was the right thing to do under the circumstances,". He commended the D.A. 's office " for exercising its discretion to reject prosecution in light of the legal and factual issues involved." Some reports are also coming out that the arresting officers failed to execute arrest procedures properly, ie making TIP get out of the car before asking for registration. Though he will not be charged in Cali, he was sentenced for violating his probation here in Atl. Still one less to worry about.